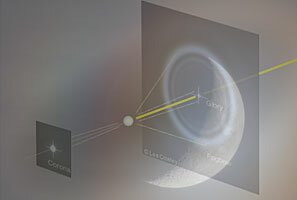 The young moon’s crescent generates a less than circular corona while the old moon glows faintly, returning the light of the waning gibbous Earth shining on its rocks. 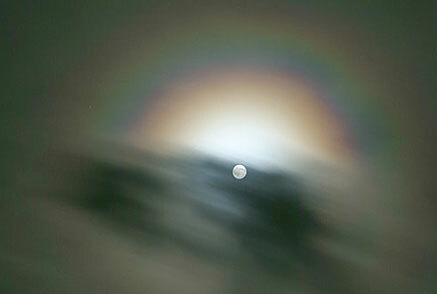 We see the progression of coronal colours outwards from the central aureole. Blue grading through yellows, straws to red. Then the first ring, blue/violet inwards to blues, greens and reds once again. Not spectral colours nor the mixed ones of refraction rainbows but the more delicate hues of light diffracted from the cloud’s miniscule droplets. 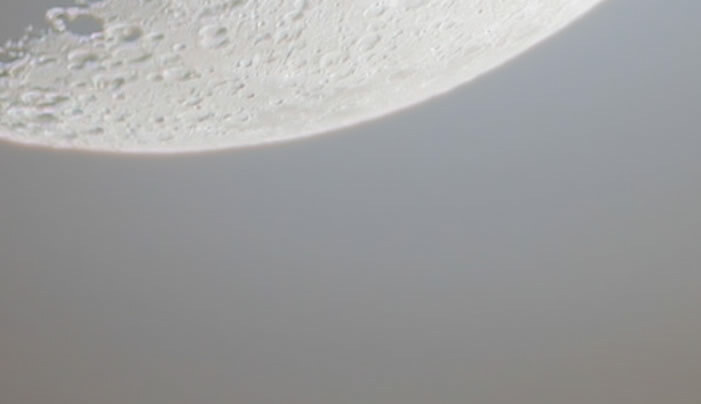 Mario's HDR composite perfectly records the lunar corona's visual appearance. 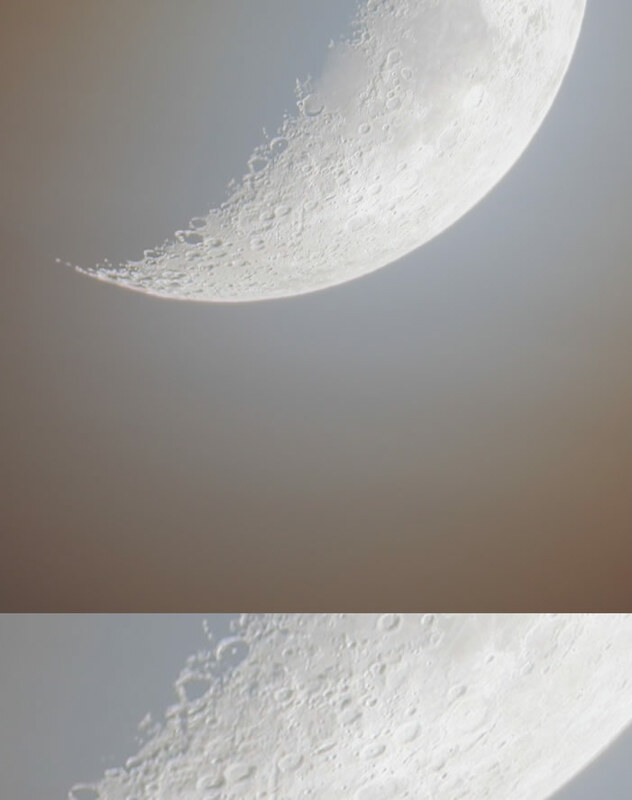 Exposures of 2.5, 1.3, 1.0, 0,4, 0.2 and 0.005s: TEC Apo 160/1280 ED with Canon EOS 5D Mk II. By Mario Weigand at Offenbach am Main, Germany.